REDUCED AGAIN!!! 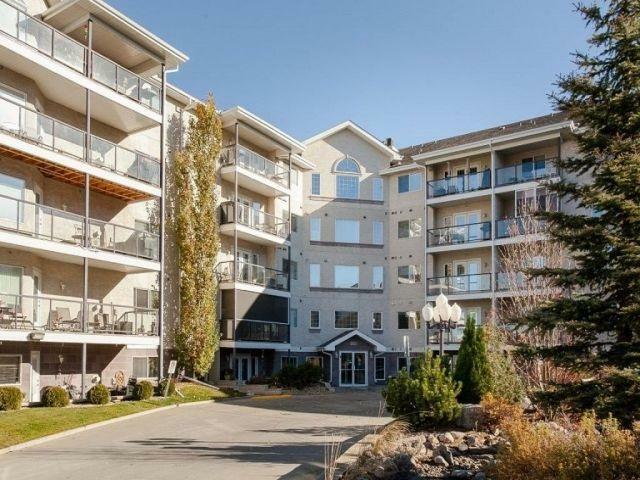 SOUTH-facing 1100 sq ft upgraded condo on 4th floor overlooks central court yard with pond & waterfalls. From porcelain tile flooring to fresh designer color palette this unit rivals any show suite. Kitchen has eating bar and loads of cupboard space with walk in pantry. New Fridge & o/r Microwave. 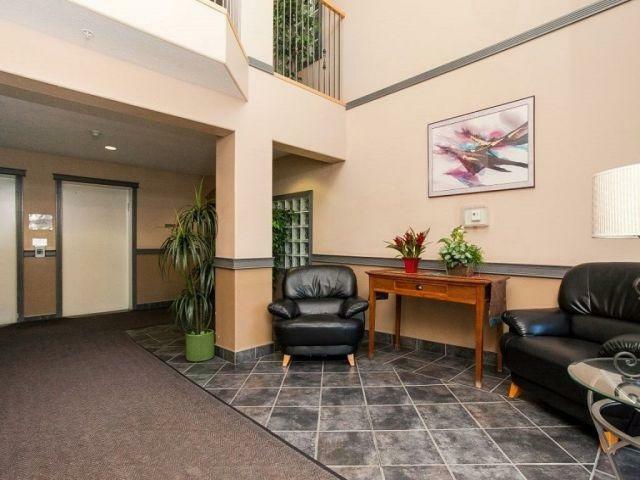 L/R is spacious, corner gas fireplace & balcony. Master suite is huge and offers full ensuite & walk-in closet. Also half bath down hallway to the den which easily fits a full sized bed & dressers for guests. Large utility room, New Washer & Dryer. Titled underground parking stall close to elevator, plus oversize 8 x 8 storage cage. 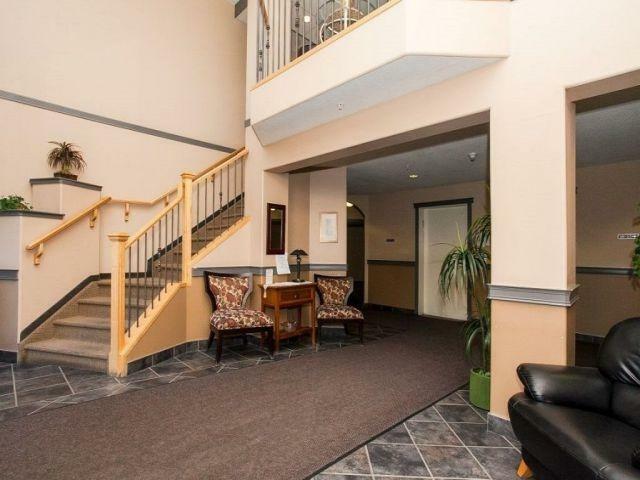 CONDO FEES INCLUDE EVERYTHING EXCEPT POWER ($70/mon) and CABLE & PHONE/INTERNET. 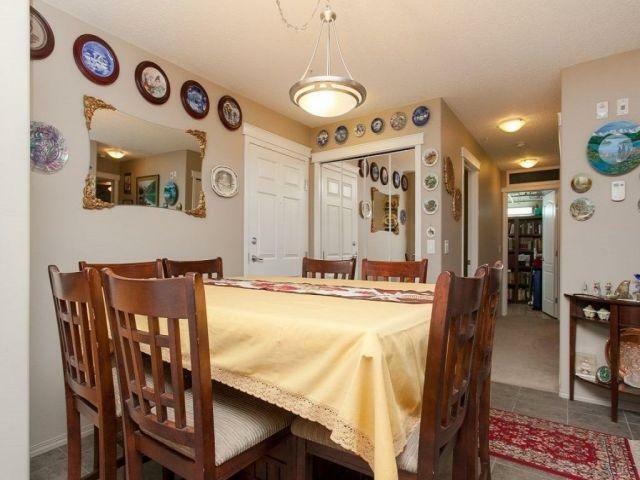 Walk to Mill Woods Town Centre, new library/seniors centre, bus, future LRT, restaurants, Grey Nuns Hospital, medical offices. 5 min to Henday or Whitemud.